Earrings are considered as the most in-demand gifts or valuables that can be offered on any occasion. Whether it’s your daughter’s birthday or your anniversary, diamond studded earrings result into a spectacular gift. Remember, what an individual actually prefers while choosing diamond earrings to offer as a gift. A person’s age and their facial features should be kept in mind. A woman’s skin tone could eventually decide which metal colour will be satisfying when picking diamond earrings. Also referred to as diamond solitaire earrings, stud earrings are the most recognised style of diamond earrings and are availed to you in different metals such as gold, rose gold, platinum and so on. Diamonds in these studs are held with 4-6 metal arms known as prongs. One aspect to be kept in mind is the size of the diamond that should be apt. It should neither be too small nor too big for your ears to support. Diamond studs typically seem amazing on many face shapes, and can acclimate virtually any wardrobe. These are another popular yet elegant style of earring for women. They are available in round shape with a post backing. Putting on these earrings is pretty easy and comfortable. Diamond hoops are crafted by setting numerous diamonds in a persistent flow. There can be one or several rows of diamonds to deliver your earring an astounding look. You should be careful while deciding the size of the diamond hoops based on the occasion, age and preference of the person for whom you’re buying this valuable gift. You’re availed with myriad designs of diamond earrings to pick from when considering diamond drop earrings. These earrings are fortified to your ear with a post-and-back design. Diamond drop earrings gel well with formal wear. These earrings swing in varying lengths, starting from a petite drop to neck-gazing length. Stunted and slender drop earrings basically goes well with a longer, narrow face shape, while longer drop earrings can poise a corpulent, broader face shape. Studded earrings can be an ideal gift for any occasion. Designed in Melbourne, find a dazzling collection of DIAMOND EARRINGS in wide range of styles and designs at GN Jewellers.  GN Jewellers specialises in diamond earrings. Browse its extensive picture gallery which encompasses diamond stud earrings to more sophisticated designs.